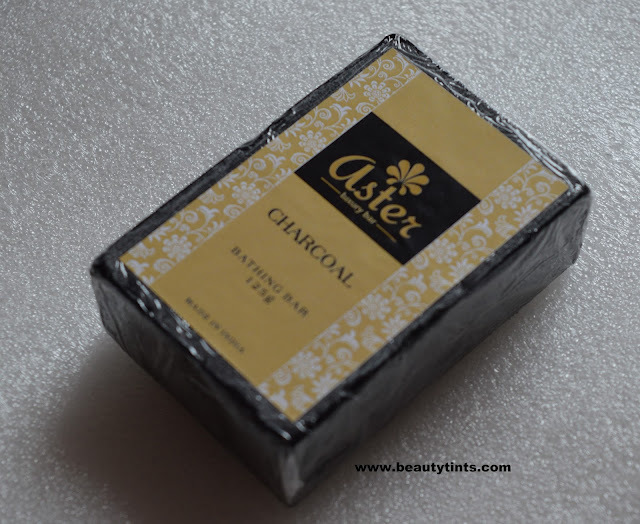 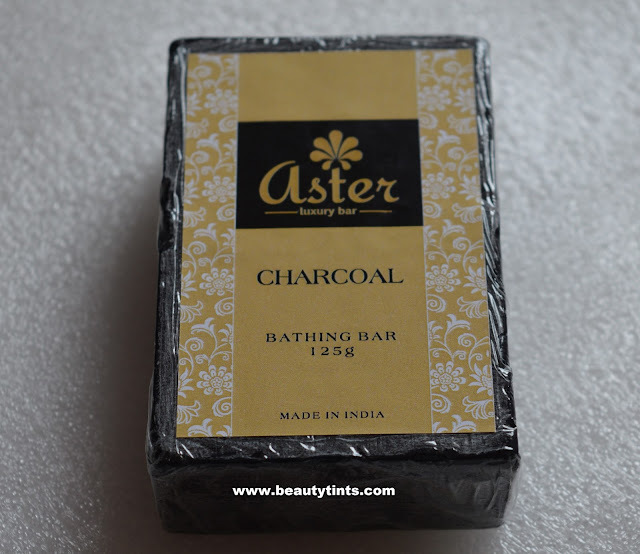 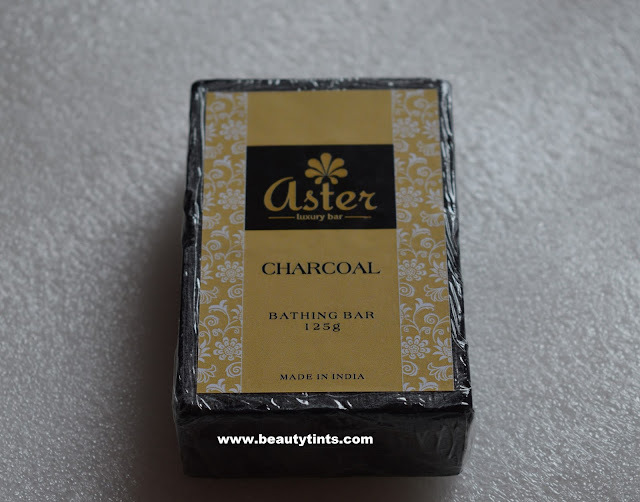 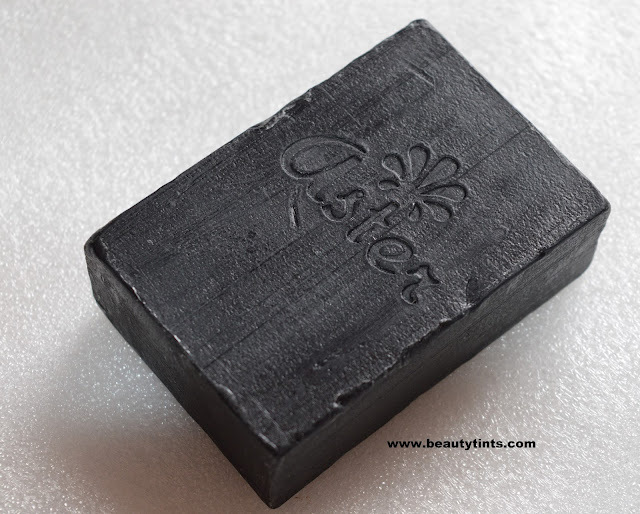 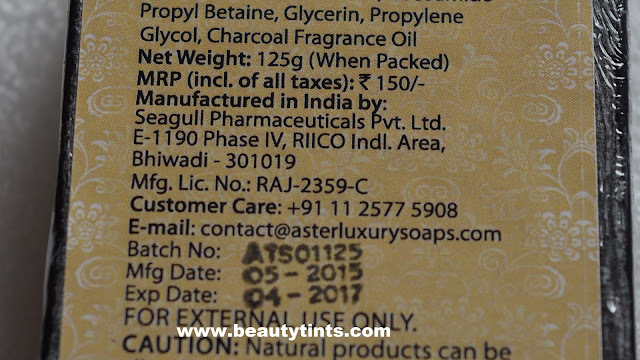 Sriz Beauty Blog: Aster Luxury Bathing Bar Charcoal Review!!! 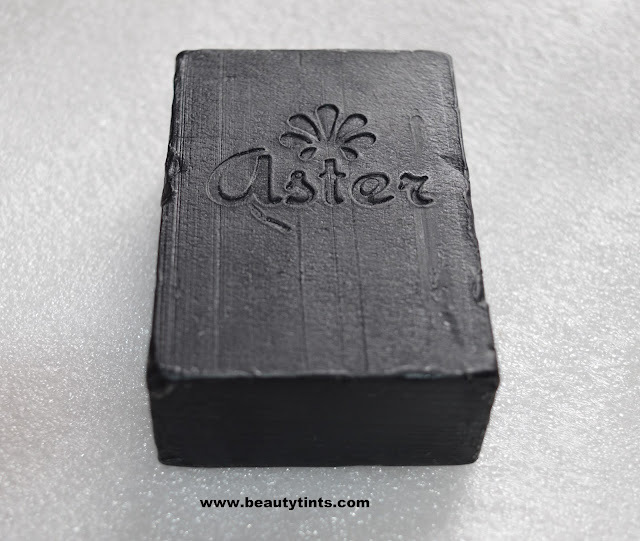 Today I am reviewing a newly launched variant from Aster Luxury soaps,which is their Charcoal Bathing Bar.This soap claims of reducing acne and pimples,read on to know whether it met my expectations or not ??? Color and Texture : This is a pure black colored soap with the brand name imprinted on it. 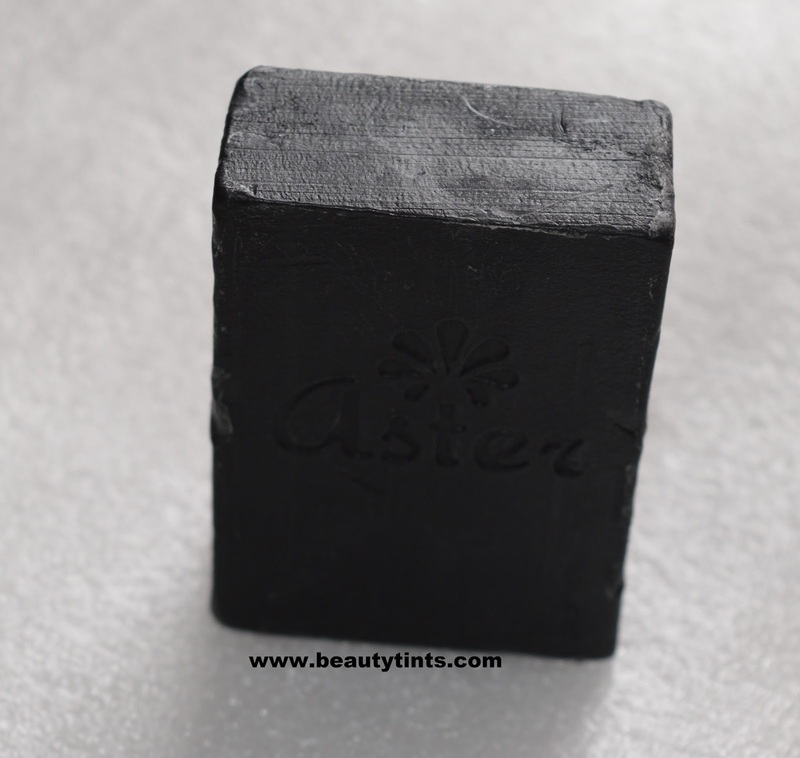 Aster Luxury Charcoal fairness soap works skin deep, makes skin fairer, healthy and glowing. 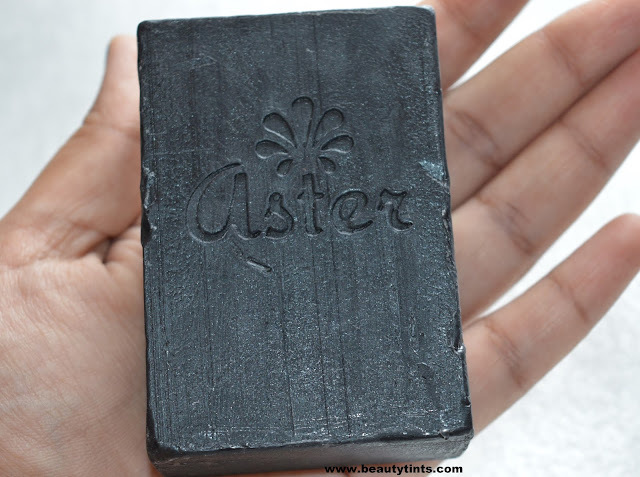 It cleans and clears the dirt, toxins & impurities on your skin.This soap fights acne by controlling excess sebum. 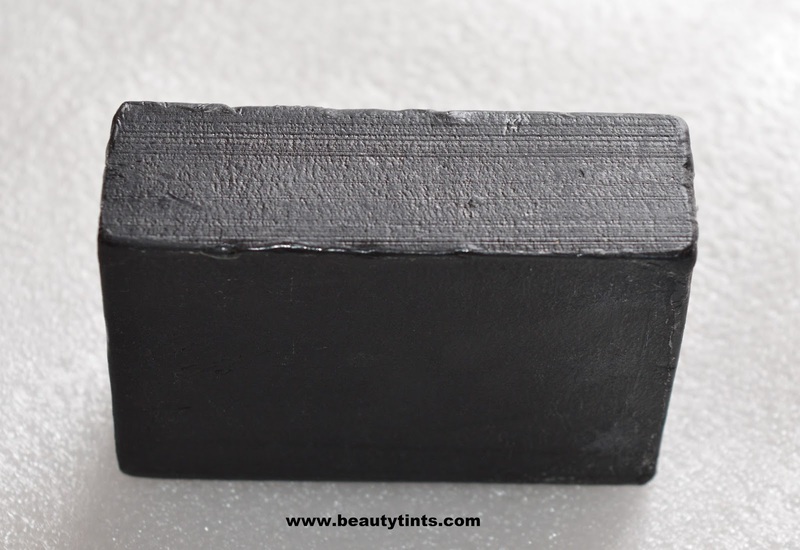 The new charcoal soap strengthens the skin elasticity and brightens up skin complexion. 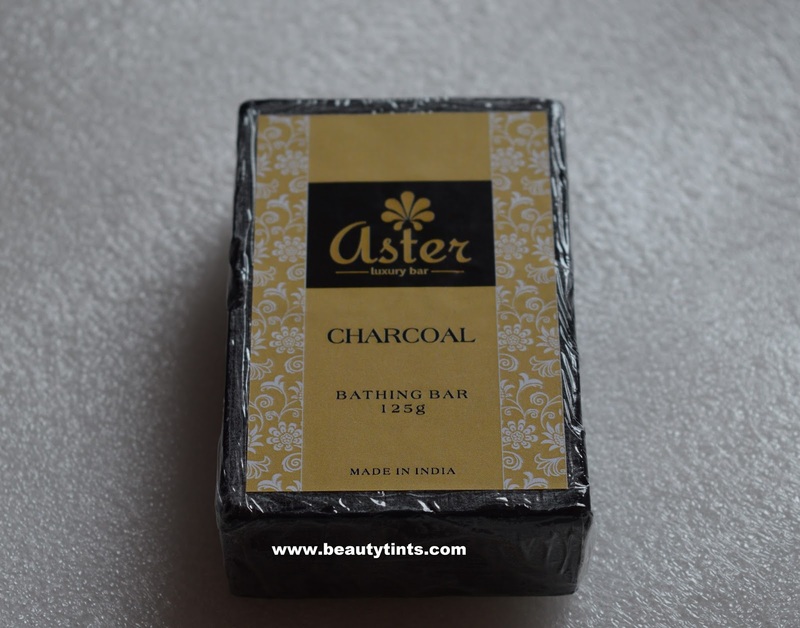 It exfoliating effect helps to get the rid of dead cells, It removes the body odour and unclogs blocked pores. 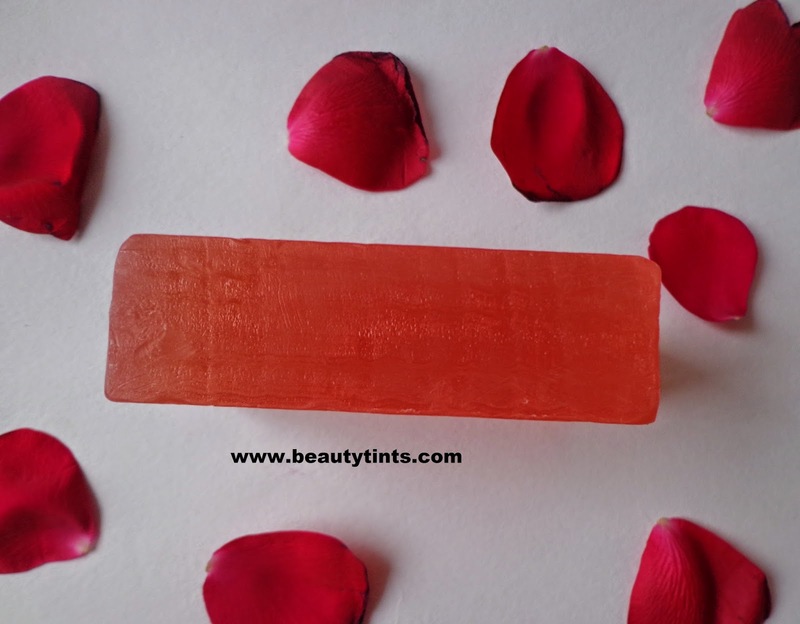 It’s refreshing fragrance stays longer and delight everyone. 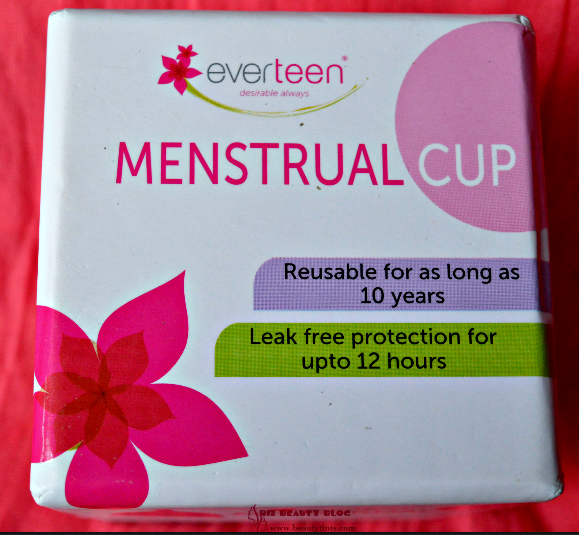 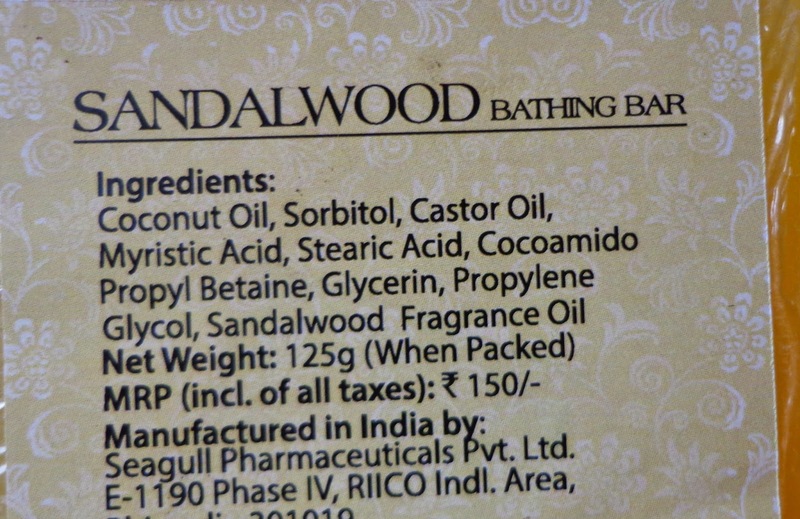 Benefits : Makes skin fairer,Removes dead skin,Unclog pores,Fights acne & pimples,Detoxifies the body. Ingredients : Coconut Oil, Sorbitol, Castor Oil, Myristic Acid, Stearic Acid, Cocoamido Propyl Betaine, Glycerin, Propylene Glycol, Charcoal Fragrance Oil. 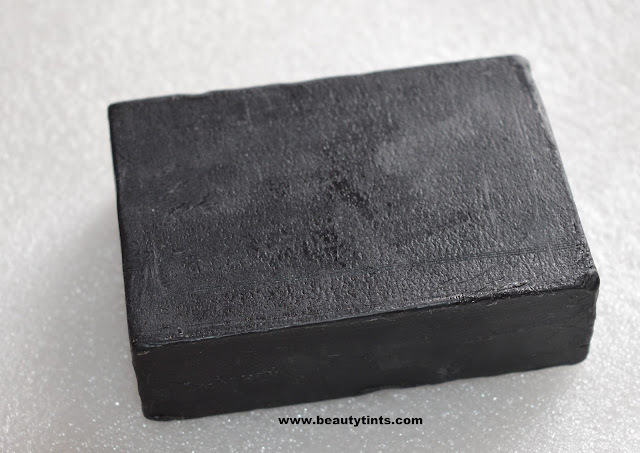 This soap is a dark black colored solid soap with a mixed floral fragrance.It lathers decently and does not melt easily like all the other variants.It cleanses the skin thoroughly removing all the dirt and grime from deep with in and makes skin squeaky clean.It also soothes the skin and makes it soft and supple.It imparts a healthy glow to the skin.It hydrates the skin with out drying out.It contains the goodness of coconut oil,glycerin and castor oil.As claimed,it helped in reducing the acne on my back very effectively,that too in the span of 1 week.I am super happy and surprised to see a visible difference in the reduction of acne in a short period.It is free from parabens and other harmful chemicals.It is against animal testing and does not contain animal fat in it.It is quite affordable for the quantity and goodness with which it comes. Final Conclusion about Aster Charcoal Luxury Bathing Bar: Those who are in search of a natural soap which can help in fighting against acne with out drying out the skin,can give this a try!!! 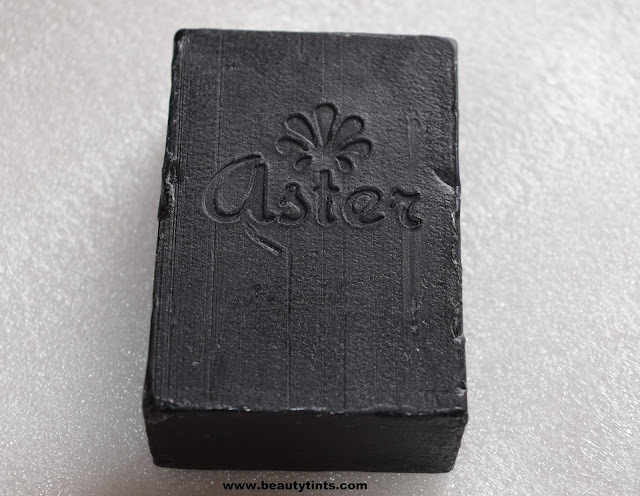 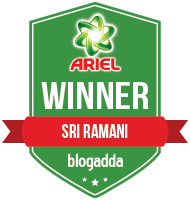 Also check out the reviews of Aster sandalwood soap, Rose soap,Aloe-vera soap and Coffee soap here.